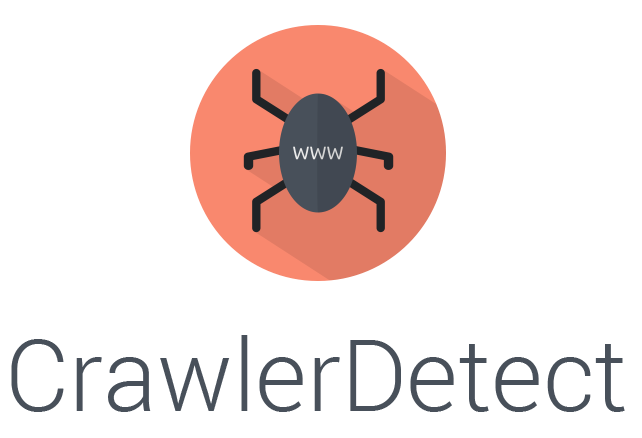 CrawlerDetect is a PHP class for detecting bots/crawlers/spiders via the user agent and http_from header. Currently able to detect 1,000's of bots/spiders/crawlers. Run composer require jaybizzle/crawler-detect 1. * or add "jaybizzle/crawler-detect" :"1. *" to your composer.json. If you find a bot/spider/crawler user agent that CrawlerDetect fails to detect, please submit a pull request with the regex pattern added to the $data array in Fixtures/Crawlers.php and add the failing user agent to tests/crawlers.txt. To use this library with Symfony 2/3/4, check out the CrawlerDetectBundle. To use this library with the YII2 framework, check out yii2-crawler-detect. To use this library with NodeJS or any ES6 application based, check out es6-crawler-detect. To use this library in a .net standard (including .net core) based project, check out NetCrawlerDetect. To use this library with the Nette framework, checkout NetteCrawlerDetect. To use this library with Ruby on Rails or any Ruby-based application, check out crawler_detect gem.